Keep it in the corner-Saturday Sketch! MYTIME MAIL!! Kelley from Our Daily Bread is going to give ONE of YOU the chance to win THIS SET!!!!! HERE!!!!! I would love to hear what your most difficult challenge is for paper crafting. Be it a color, technique, templates-WHATEVER challenge you face! Or maybe something you want to learn!!! SO leave that info in the comments section, to enter to WIN! I will draw the winner, by random.org., on Tuesday! Sorry Im SOOOO late with this post. 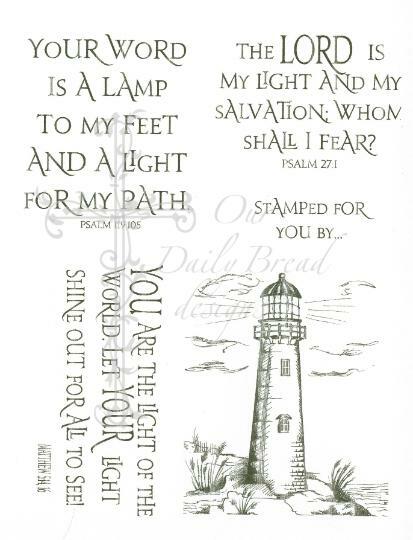 I really needed a break, and we are trying to get our Easter stuff done, then I got side tracked with some MOJO, so I had to stamp 😀 All for FUN too!! Love that. Plus I needed a card for Jay’s grandmother-its her b-day. One of my photo lights broke, so I’m trying to find one to replace it-and WOW! They are pricey and hard to find. I really NEED it, so am hoping I can find one sooner rather than later. I hope you have a great Easter weekend for those who celebrate it. We are off to BUY a pre-made dessert for tomorrow. Normally I knock myself out trying to “do it all”. I always come up with some fabulous dessert idea. It takes a few hours to do. It’s always been that way, for every function, since I have been with Jason. Don’t get me wrong, I have enjoyed doing it, but not really anymore. It’s another thing on my to-do list! I decided to let the stress of that just go. I do think I should definitely contribute by bringing something. I was taught you never go to someone’s home empty handed, and you always help in the kitchen and with clean up. Anyway-letting it go just feels good. I didn’t make anything for Christmas either. I bought some tarts. It doesn’t make sense anyway-I spend more on the ingredient’s than I would on a dessert that is just as fabulous , but already made, and saving me TIME! For those who asked Alexa seems to be OK! Thank GOD! She is at her father’s this weekend. I’m a little sad, she isn’t here, and missing some family stuff with us, but she really wants to be there, since they have a new baby. Now lets get to the sketch!! We are keeping it in the corner-and SINGLE layer!!! I so love this sentiment. 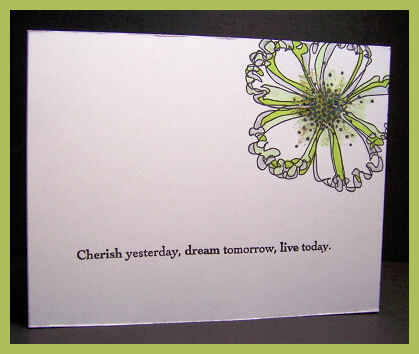 I used this flower by Stampendous, that my friend bought me a while ago. It’s amazing what you find when you dig through your PILES of stamp cases. I LOVE this image, and have not used it as often as I would have liked to. Doing this helps me BEHAVE, and NOT buy unnecessary stuff-just because I like to get new things! LOL! I made this after my card posted the other day, using colors inspired from some funky shorts I saw a Target. The colors are white, gray, celery, and olive. The flower center is all green Stickels-really pretty in person. I liked the main image at that top corner, so not expected. Most of the time we put things in the bottom right, or left. For me, I also don’t usually make cards that the focus is horizontal-isn’t that strange? I perfer a vertical layout. Do you have any card quirks, like that, that you have noticed? I also LOVE WHITE!!!! LOVE IT!!!! I try to step out of the box and use more color-but sometimes you just dont need it-KWIM? I love clean and simple-yet finely detailed cards. Theya re the one’s I am MOST drawn to in a store. Not sure why, they always capture my attention, but they do. After my post —>HERE<—, I realized MANY of you need help keeping it S-I-M-P-L-E! So for todays sketch, THAT is exactly what I need YOU to do. You can add MINIMAL layer’s (if needed) but I perfer you keep it a SINGLE layer. If you get it to go a little off the edge-heck, even better. You need to keep your main image to “A” corner. I don’t care which one-just do it. Here is another example I did-so you get another idea. This card uses my NEW! Birds Galore set by Inkadinkadoo, and the Papertrey Ink Birthday Basic’s set. I stamped the bird in versamark, then heat set with Heat & Stick powder. Applied some copper foil for a neat look! 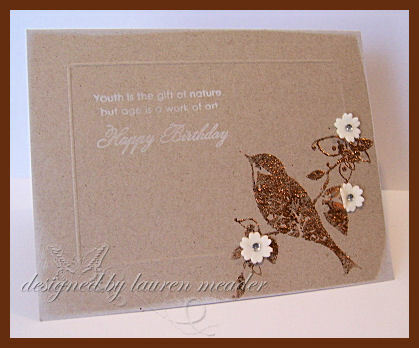 I then used my Scor-Pal, to create a light embossed border around the bird. SO subtle and pretty! Still needed “something” so I added the Maya Road velvet flowers, with some silver bling-for contrast! Love it! Very simple-keeps my image at a CORNER!!! AND is ONE layer! If you try the sketch post a link in the comment’s section. I hope you do-its a great one for quick cards, and a challenge for most! The key is-DON’T OVER THINK IT! OK! 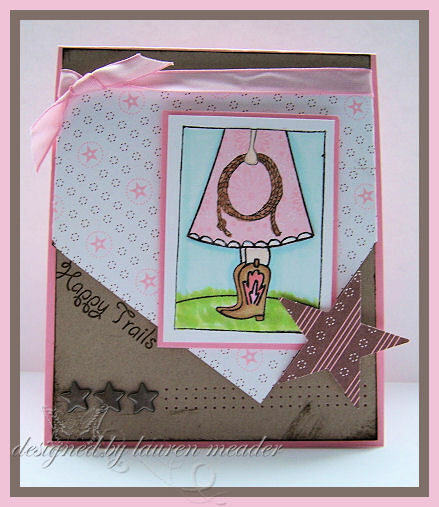 If you try the sketch-that allows you to enter for the stamp set 2x’s!!! 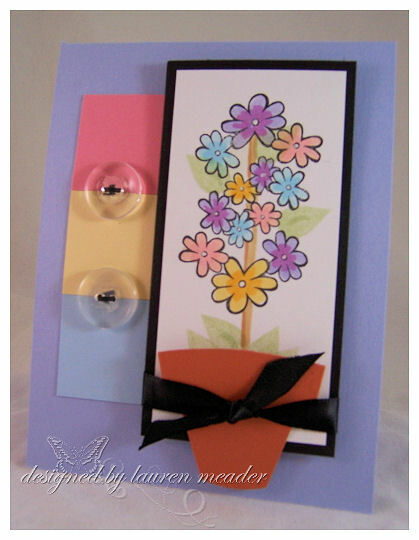 Tomorrow I will share my flower tutorial used on one of my Papertrey Projects!! I am also excited to soon share photos of the kids rooms-I may do a Smilebox, and the Thank You card I made for Kathie who made Daisy’s album!